Michael Conforti is seeing the Clark Art Institute through a $145 million project for construction and renovation. Giuliano photos. 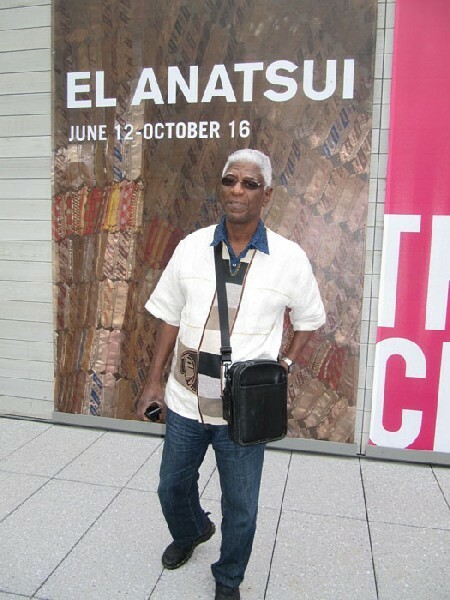 Works by El Anatsui were show at the Clark this past summer. Recently the Clark Art Institute held a press conference to discuss the final phase of a $145 million project for construction and renovation. We approached Michael Conforti, for the past 16 years the director of the museum, with follow up questions. In particular its relationship with Mass MoCA and future programming for modern and contemporary art. We also discussed concerns for the conservation risks of Parading the Relics as the Clark sends it treasures on an extended world tour. Michael Conforti When our pictures are loaned to other museums we need to send a courier. Our staff has to go along with them. They don’t just go away. It’s an ongoing major task. We have actually acquired period specific staff for the next two years. 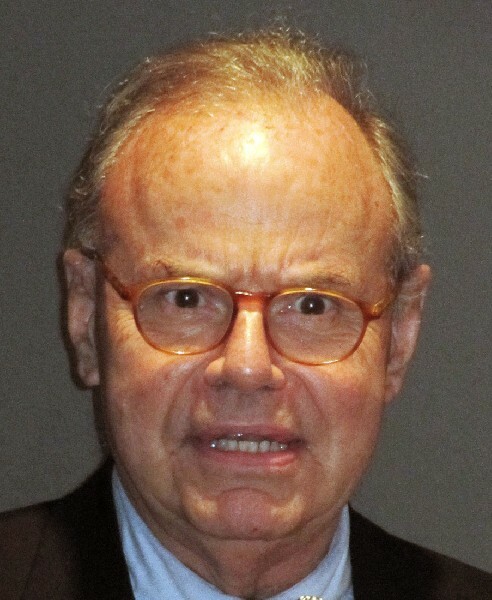 Charles Giuliano In the past we have discussed the issue of museums like the Clark going to the well too many times in organizing exhibitions focused on the broad appeal of French impressionism. MC Doing it here at the Clark? CG Yes. We have discussed the issue of educating the audience by bringing them more into modernism and contemporary art. We saw that in your exhibition Picasso Looks at Degas. On that occasion we reported (10/12/2010) that “Significant critical acclaim and widespread audience interest in its two exhibitions, Picasso Looks at Degas and Juan Muñoz, propelled attendance at the Sterling and Francine Clark Art Institute to near-record numbers this summer. The Clark recorded total visitation of approximately 120,000 from its June 13 public openings through the close of the Labor Day weekend, making 2010 the second-highest attendance season in the Clark’s history. MC This summer we had work by El Anatsui in the Stone Hill Center. CG Can we talk about moving the Clark more in the direction of modern and contemporary art? MC It’s an important question that you ask. When you’re a museum professional you appreciate that you don’t have infinite possibilities to do anything other than with the architecture and staff you happen to have inherited. I would say The Clark, given that we had no contemporary exhibition galleries and only these galleries we have cobbled together to make contemporary exhibitions, we have never really had the ability to do larger scale shows in a variety of areas. Outside of the domestic scale older paintings that we actually have shown. I feel, and I said this yesterday when somebody asked, that the envelope that we are creating, particularly the envelope of 11,000 square feet of open space is going to present great possibilities. It will expand programming in ways that I can’t imagine. CG Are you considering site specific sculptures on the vast campus? MC That’s easy to imagine. The harder thing to imagine is a large scale contemporary exhibition. Or a contemporary sculpture exhibition. Which we never could have imagined in the past. We may choose not to do it for one reason or another programmatically. But now we’re not confined by the modest scale of our spaces. CG Can we talk about the Clark’s relationship with Mass MoCA. You have a building on their campus. But in the past couple of years we haven’t learned what you plan to do with it. MC The partnership with Mass MoCA is extraordinary. Over the years we have contributed over $2 million to Mass MoCA in all of the programming efforts. We continue with the cooperative Kidsspace program. We do internships from the Williams/ Clark graduate program. We create exhibitions there on an annual basis. Early on we contributed to certain exhibitions there. We’re still very close. We feel that we need to get our campus completed before we address the next step in that collaboration which is working with that building. CG You have a long term lease. Is it a 99 year lease? MC Oh yeah. But I can’t announce it now. We can’t address it until we finish this project. Think about the relatively small scale that we are and all the things we are doing here, in New York and around the world. And the complications of a building project. Our trustees have demanded that this is going well before we move on to Mass MoCA. CG It seems that connecting the dots is important in terms of creating a flow of traffic back and forth between The Clark and Mass MoCA. MC It’s something we’re absolutely committed to. It’s something that will happen. It just can’t all happen at once. CG The El Anatsui exhibition this summer certainly felt like a step in the right direction. MC We are doing so many things which will naturally link with Mass MoCA. I feel very confident that by 2014, when this project is completed, we will be ready to address that. And do it very well. CG Can we come back to what I referred to during the press conference as Parading the Relics. (Masterpieces of the permanent collection on world tour during the period of renovation.) When you send the works on tour for an extended period of time, to multiple museums around the world, there are obvious benefits as well as risk factors. These are priceless works of art with a lot of handling in terms of packing, shipping, installing and deinstalling. From a conservation point of view that entails risks to the integrity and preservation of the objects. MC It’s a deep concern for everyone in the profession. There is a great deal of talk about it as you may imagine among conservators and registrars. The museum profession has become pretty sophisticated. Both in terms of demanding courier trips for all of our objects going from place to place but also the conservation standards that are demanded both in transit and on site. When you think how many objects go from place to place, and how few claims there actually are, it is quite extraordinary. It’s a pretty safe enterprise. If you didn’t do it. If the world of art museums didn’t embrace cultural exchange, and the market place is keeping many objects from being able to be bought by institutions, and countries are feeling very protective of their own cultural heritage, the only way we can see certain kinds of things, increasingly and in the future, is through exchange programs. So if they are temporary exhibitions over a three month period, or something that I’ve been advocating, longer term exchanges, over years, from countries to institutions. CG As works of art have greatly increased in value the logistics are through the roof. MC The insurance costs are enormous. CG The current MoMA show of deKooning represents works valued in the billions. It terms of insurance and liability it is described as the most expensive exhibition in the museum’s history. MC It’s one of the reasons why we as a profession are fighting for domestic indemnity. Many of those works were indemnified by the U.S. Government. Because we have been doing transport so well the government is willing to take on a much higher percentage of the insurance costs. If you were taking on the insurance in a case like this (sending the Clark’s treasures on tour) it just wouldn’t happen. CG What will be the insurance cost for that upcoming exchange with the Prado Museum? MC I don’t know yet. But it will be indemnified by the U.S. Government. We won’t pay anything. That’s true of all of our international shows. It is quite easy to get for serious, thematically driven, and need to happen exhibitions.